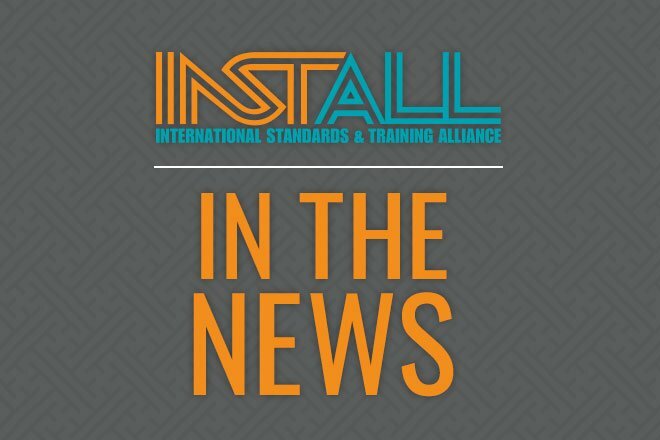 Since the addition of the International Standards and Training Alliance (INSTALL) training at the North Texas Training Center in Arlington, Texas, efforts have grown to include Oklahoma as well. INSTALL, a quality training and certification alliance of major flooring manufacturers, contractors and professionals installers, is dedicated to elevating the level of quality installations across the floor covering industry. One major focus is to recruit and develop new members of the skilled labor force that are trained to the highest standards of quality in the floorcovering industry. INSTALL partners with local contractors to develop and host rigorous training courses designed in collaboration with major mills and manufacturers. By offering quality training in Texas, INSTALL has begun to build a skilled labor force that can be available to support work with contractors both in and out of the area. This strategy for expansion in the Central South market is already working. Image Flooring and Flooring Systems, commercial flooring contractors located in Lenexa, Kan., and Springfield, Mo., respectively, have committed to expansion in Texas through the INSTALL program. In this partnership, these companies can actively bid on work in Texas and send crews of supervisors and journeymen once work is awarded. INSTALL provides support to these incoming companies in the form of a pool of local laborers that have been INSTALL trained and can work alongside the incoming crews.